Beyond those practical reasons for universal coverage, of course, there’s the basic moral imperative. Does a wealthy country have an ethical obligation to provide access to health care for everybody? Do we want to live in a society that lets tens of thousands of our neighbors die each year, and hundreds of thousands face financial ruin, because they can’t afford medical care when they’re sick? This, of course, is the “first question” that Professor William Hsiao asks whenever he reviews a country’s health care system. And on this question, too, every developed country except the United States has reached the same conclusion: Everybody should have access to medical care. Having made that decision, the other nations have organized health care systems to meet that fundamental moral goal. If the United States made the same moral choice to provide universal coverage, then we, too could design a fair, efficient, and high-quality health care system for all Americans. And the principles we’ve learned from studying the other industrialized democracies will help us create that new health care system. 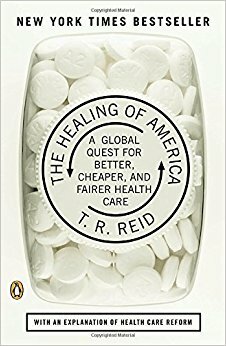 At the start of the twenty-fiirst century, the world’s richest and most powerful nation does not have the world’s best health care system. But we could. Given our country’s remarkable medical assets—the best-educated doctors and nurses, the most advanced facilities, the most innovative research on earth, a strong infrastructure of preventive medicine—the United States could be, and should be, providing its citizens the finest health care in the world. We can heal America’s ailing health care system—and the world’s other industrialized democracies can show us how to do it.